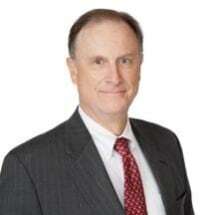 Upon his graduation from law school, Mr. Pringle accepted a position as briefing attorney at the Fifth Judicial District Court of Appeals in Dallas, Texas. Mr. Pringle joined the firm of Wright & Greenhill, P.C. in October 1988 and became a shareholder in January 1996. During his tenure at Wright & Greenhill, P.C. Mr. Pringle has tried over 40 jury trials. Mr. Pringle represents and advises insurers, businesses, non-profit corporations, governmental entities, employers, individuals, and schools in a broad range of civil litigation including whistleblower actions, personal injury, wrongful death, premises liability, defamation, products liability, property damage, construction, insurance, breach of contract and employment matters. Mr. Pringle also defends individuals in state and federal criminal and administrative proceedings. In addition to his practice of law, Mr. Pringle frequently lectures on various legal and insurance related topics. Obtaining no liability jury verdicts in cases involving wrongful death, environmental waste spill, first-party bad faith, product liability, premises liability, traffic accidents, intentional assault, slander, intentional infliction of emotional distress, invasion of privacy and employment cases. Tried lawsuits in state courts all over the state of Texas and obtained favorable jury verdicts for individual and commercial clients. Represented general contractors and subcontractors in multi-million dollar claims and lawsuits involving construction defects, design defects, and contract claims. Mr. Pringle lives in Austin with his wife, Suzanne and two children. Mr. Pringle is active in the community, having served as a Boy Scout Den Leader, Youth Soccer Coach, and Little League Baseball Coach.